Here we go again! 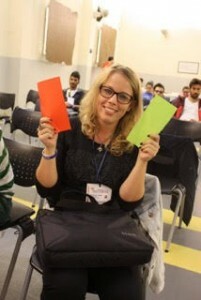 This month The AEGEEan selected Lisa Gregis, President of AEGEE-Bergamo, as the Member of the Month (MoM). An AEGEE member by chance, with a strong interest in communication, she has even been “Mattia Abis” for a while on Facebook! The AEGEEan: Lisa Gregis, you are the new member of the month! Tell us about yourself something that we cannot find on your Facebook profile! 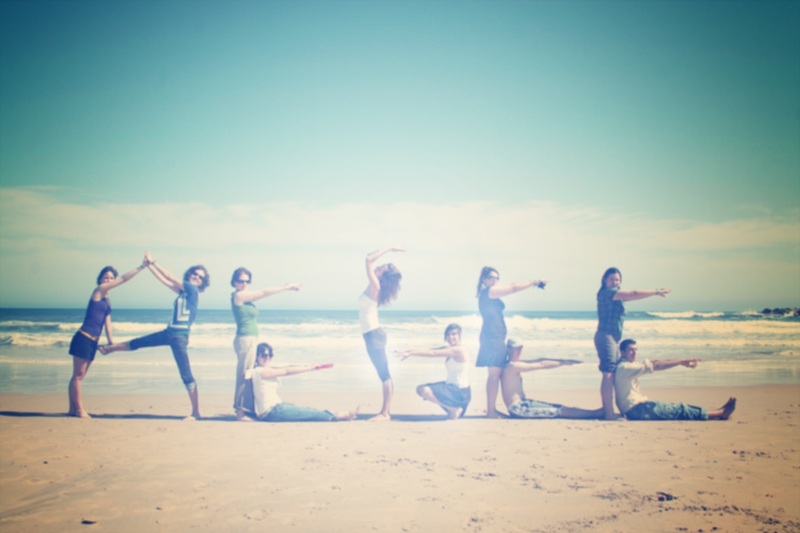 When and why did you join AEGEE? I joined AEGEE in November of 2011 because I was member of PolarTv, a web tv, and Paolo Ghisleni (former president of AEGEE-Bergamo, MedCom, Main Coordinator of Spring Agora Bergamo 2016, etc.) joined it too. After I met him, I started to participate in AEGEE-Bergamo’s aperitivo [typical Italian pre-dinner drink], and after four or five times a former member of AEGEE-Bergamo asked me, in not a very polite way, “Why are you always here?”, I felt guilty – catholic heritage – so I decided to join. No love at first sight, not at all. You are the President of AEGEE-Bergamo, the local hosting the upcoming Spring Agora 2016. How did you get the idea to apply? Did you expect AEGEE-Bergamo to be chosen? You contributed together with some other members from the Italian speaking locals to realise a common PR campaign. How did it start? And what did you achieve? Yes, I thought that even if there’s no national level, the Italian speaking locals could cooperate for PR and recruitment and we know that Summer Universities (SUs) are one of the more useful tool we have. So why not kill two birds with one stone? The team was amazing and it was made up from experienced AEGEE-members who are journalists, graphic designer, video makers, IT and some people who are very passionate about SUs. 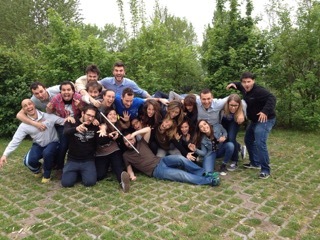 They are Erika Bettin (AEGEE-Venezia), Silvia Cannarozzi (AEGEE-Bergamo), Peppe Colicchia (AEGEE-Pisa), Antonio Della Ventura (AEGEE-Napoli), Lorenzo Li Veli (AEGEE-Torino), Raffaele Marcello (AEGEE-Roma), Francesca Russo (AEGEE-Padova) and Matteo Secchi (AEGEE-Cagliari). We had a lot of great ideas, but sometimes it’s hard to put all of them into practice. 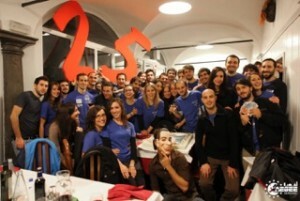 We redid the website www.AEGEE.it for free, thanks also to AEGEE-Ferrara and we published a Facebook Page where we uploaded some graphic images about SUs. I think that we can use this experience to do better in the future. Let me say that nothing could have happened without the work of those amazing guys that I mentioned before. We had a great time. And now something more about Lisa: What is the last book you read? “A life” written by Italo Svevo. 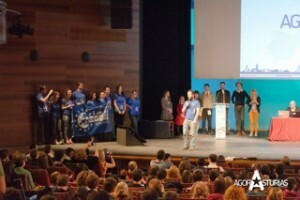 I am president of AEGEE-Bergamo until September, then I’d like to get my degree in Humanistic Science and to go to EVS [European Voluntary Service, ed.] for an year. Definitely “Stay Human” by Vittorio Arrigoni, who was an Italian reporter, writer, pacifist and activist in the Gaza Strip for three years until he was kidnapped and murdered. The title of this story is “Please, mister Facebook.” Some months ago, I was chatting with my friends Carolina, Erika, Giulia and Deborah and we started to post Mattia Abis pictures as our profile pics, just for fun. After that a lot of AEGEEans followed us and we were laughing a lot. So I decided to take the game to another level, I wisely decided to change my FB name in Mattia Abis. It was hilarious! Unfortunately, after six hours, when I thought that it was enough, I tried to restore my name, but the policies of Facebook regarding the changing of the name, didn’t allow me to do so. I had to wait 60 days before I could do it. What happy news! So I officially became Mattia Abis. After about 30 days Facebook allowed me to write them to ask to change my name back. I wrote a famous email, in which I prayed them to return me to Lisa Gregis, promising them to never change my FB name again. Finally, I became Lisa Gregis again and my friends will make fun of me for that for the rest of my life. ← Opening Inclusion Project: You are Society!